Neglected my wardrobe for too long. 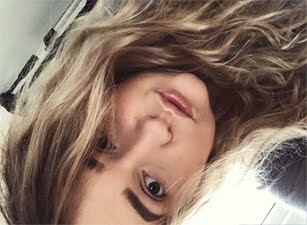 Today I just felt like giving my bedroom "spring clean", so I started with my wardrobe and I'm really feeling good about it actually being tidy. 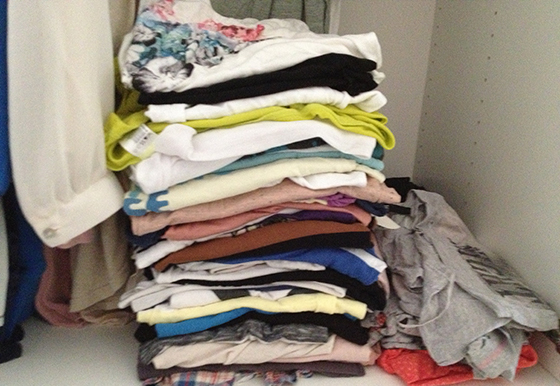 Although I got lazy with organising my tops, why do I have so many of them? I got even more, but most are in the washing and I had hang some up. Even my cat decided to relax and take a break. I own so many clothes but I stick to my favourites and wear them all the time. I can tell you a secret I have 2 large boxes full of clothes hidden. From time to time I view everything and then I take I bits I want to wear. I sorted mine today too, i had an extra clothes rail in my room that finally collapsed..definitely a sign of a clear out. 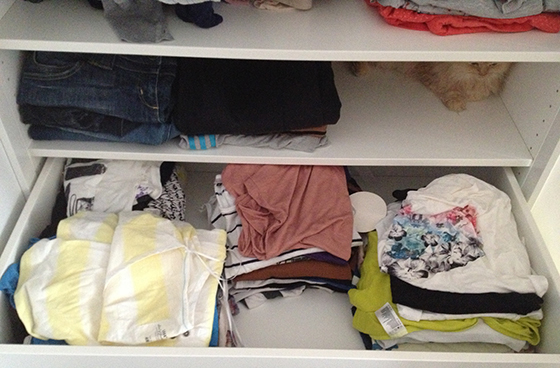 I love sorting out my wardrobe! I always find things I never knew I had! 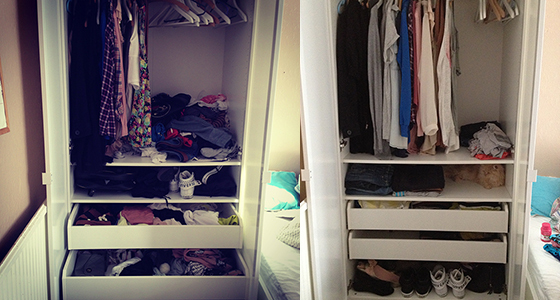 I love organising my wardrobe! I'm terrible when it comes to clearing out my wardrobe. I never seem to throw anything away, it just goes into the loft "just in case"!